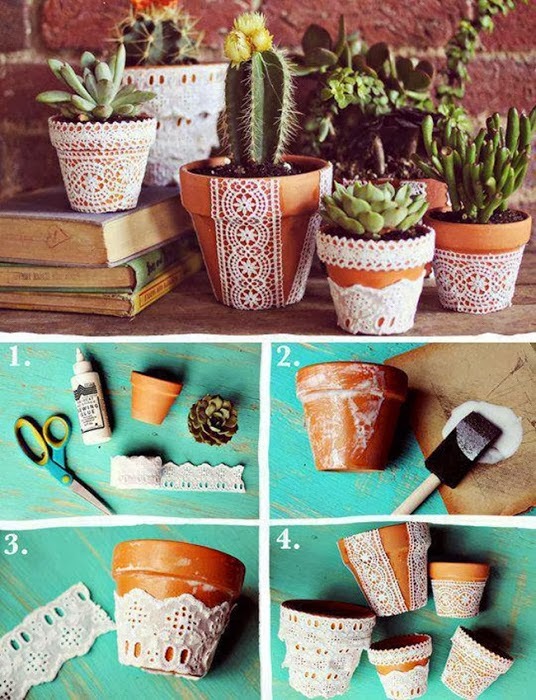 If your plant pots at home seem too uniform to you, you may make them a little bit attractive. What is necessary is just a piece of lace, glue and a pair of scissors. The lace is stuck round the pot which makes it unusual but interesting.